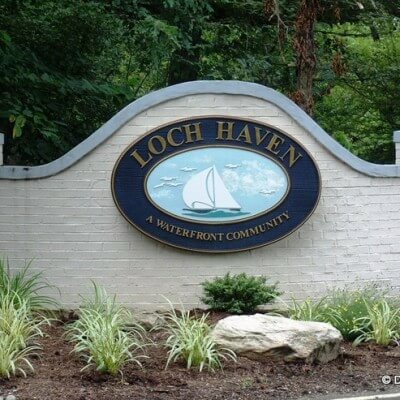 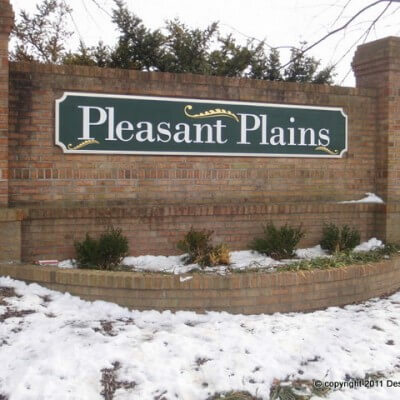 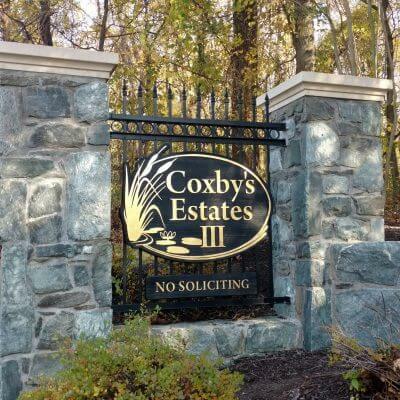 We make great community entrance signs. 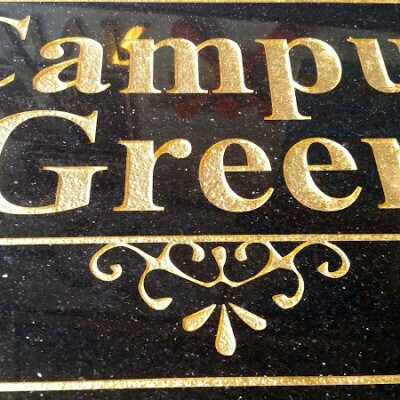 Call us, we can make a sandblasted sign for you with HDU or Cedar! 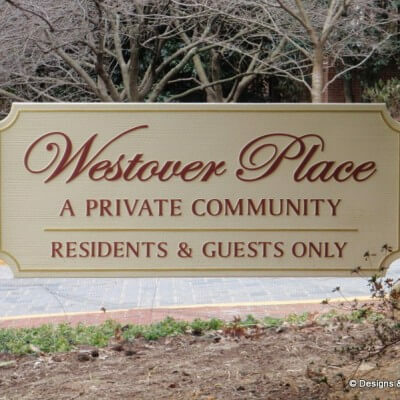 We also offer routed signs, pin-mounted dimensional letters. 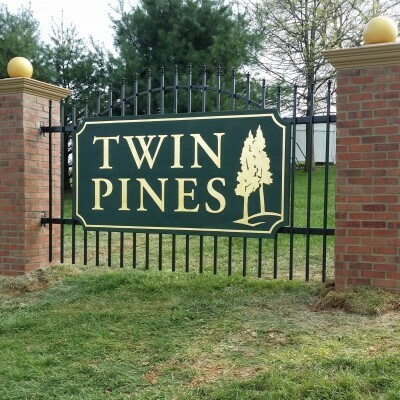 We can also build walls and posts with brick or stone. 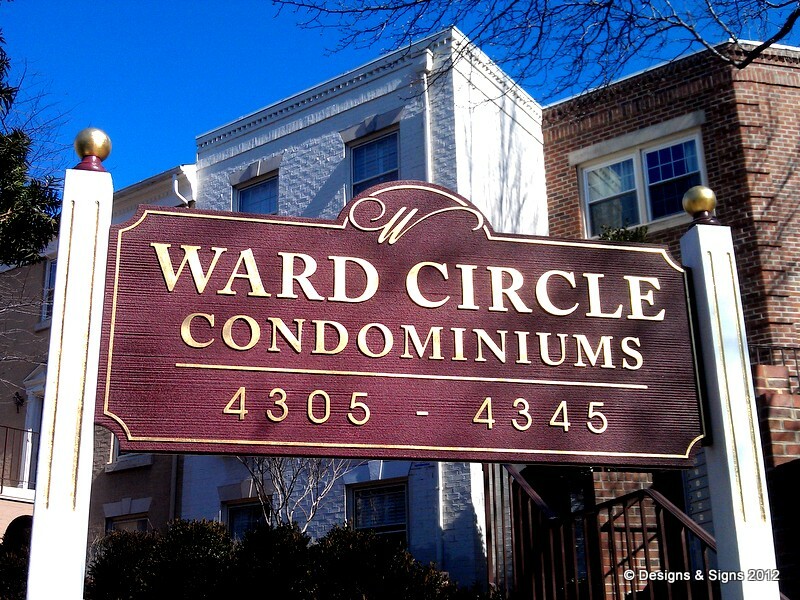 Sandblasted sign for Ward Circle in Washington, DC. 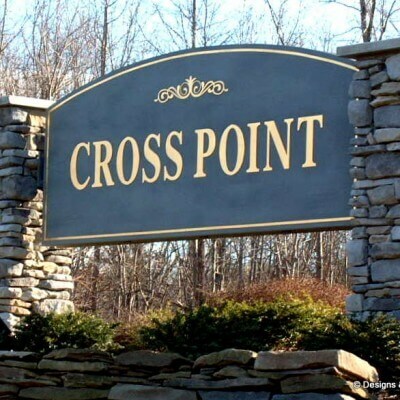 This sand blasted sign was designed, fabricated, and installed by Designs & Signs. 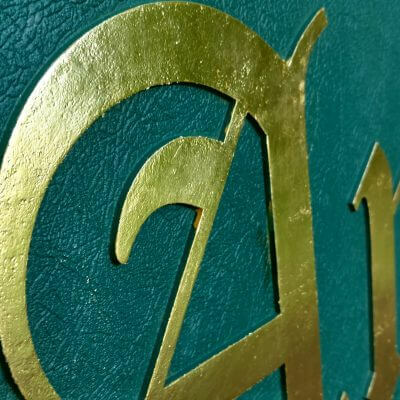 It is made of high density urethane (signfoam) and has a hard komacel back plate, a wood grain background and gold leaf letters. 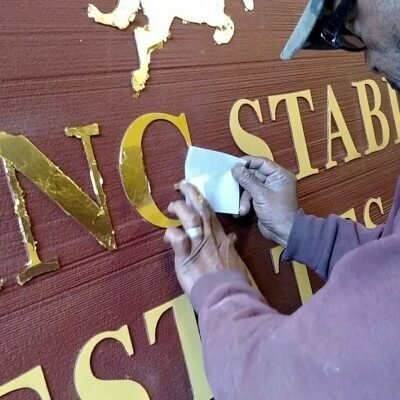 The posts and finials were also finished with gold leaf. 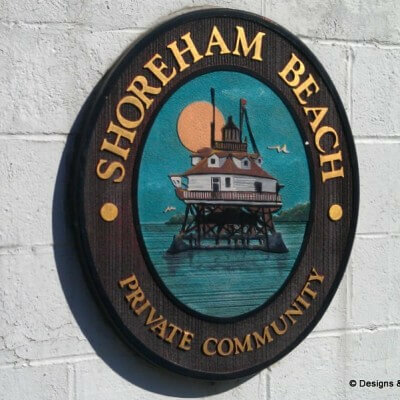 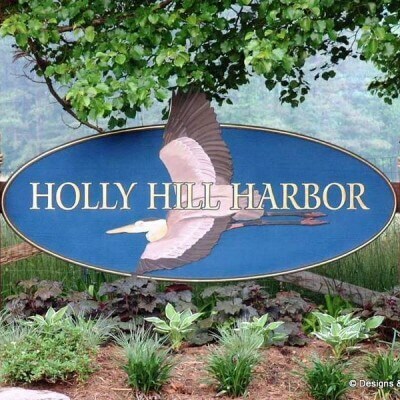 Designs & Signs makes beautiful sand blasted community entrance signs. 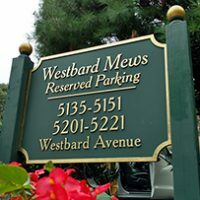 Please contact us for a quote! 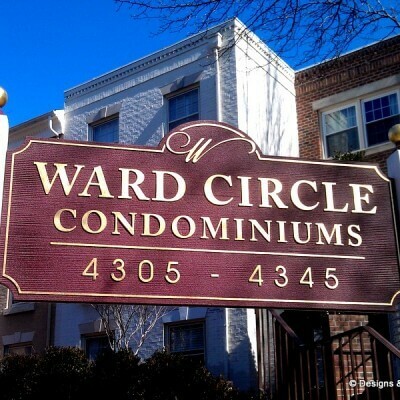 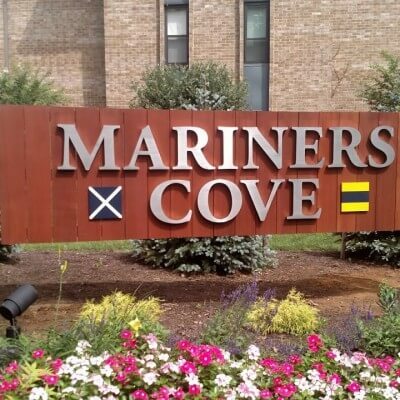 Community Gold Leaf High Density Urethane Komacel Sandblasting Signage Ward Circle Washington, D.C.